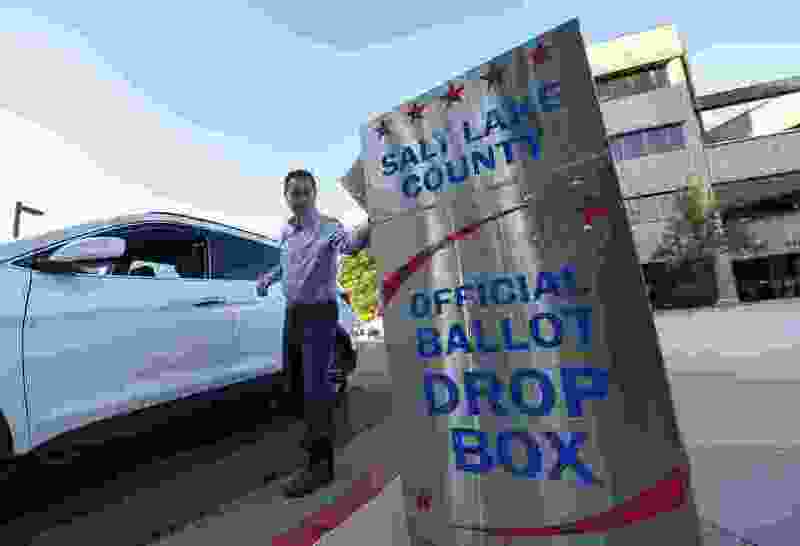 (Francisco Kjolseth | The Salt Lake Tribune) Oliver Hansen drops off his ballot in the official ballot drop box at the Salt Lake County complex for primary election day on Tuesday, June 26, 2018. It sounds very powerful, but it’s not if we don’t use the power we were given. I’ve seen politicians speak who gave me goosebumps and others who made me want to throw up. One things is certain: The powerful have invested in one side or the other, and We the People need to take back our power. Setting term limits. I don’t believe that our Founding Fathers ever meant for Congress be a career. Our senators and representatives are supposed to do the business of We the People. They are now doing the business of We the Party. Bills that are enacted should be pure and simple. Cut the “pork barrel” fat! Outlaw lobbying. They are not working for us. End gerrymandering. Every vote should count.